It’s not as hard as you think. If you want to learn how to roll a braided joint read the following instructions. 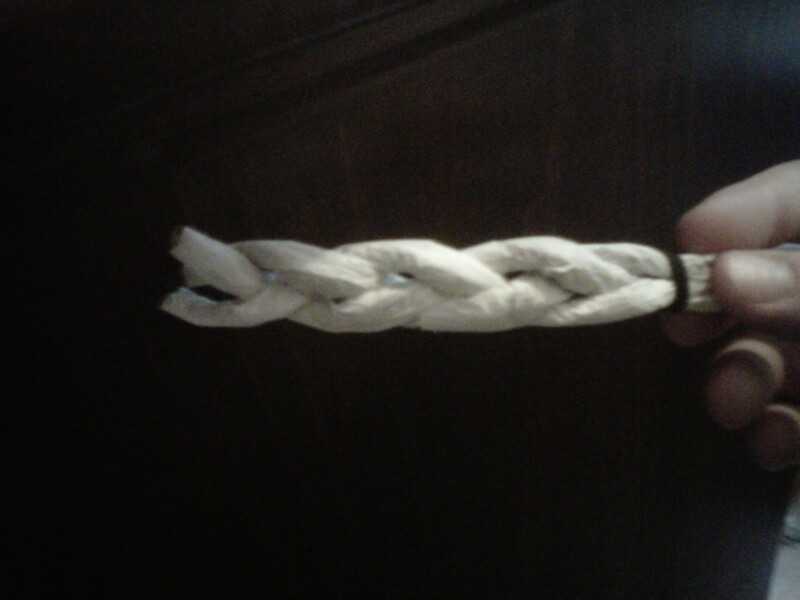 Learn to roll a braided joint. You are going to need three joints. Roll the joints thin but loose. You can roll the joints fat, but you will need to use king size papers or connect two papers end to end. Once you have three joints rolled, connect them with a rubber band and then braid them. You might want to have your girlfriend do that part, but its not that hard to figure out. We used Rizzlas, doubled up. And, made that creation which you are looking at. The fatter you roll the joints the longer they need to be in order to accommodate the braiding. It smoked nice and evenly. Make sure to put mouth pieces in each of the joints to prevent them from closing up. And, if you can roll a nicer one, email us your picture at mjmbmail@gmail.com. We’ve smoked double barrel, even triple barrel blunts, but never before today have we rolled a braided joint. If you think you can compete, send us what you’ve got. After posting the instructions yesterday on how to make green dragon, in our Cinco de Mayo post, we thought it would be nice to make a compilation of our favorite marijuana recipes. We added a new page to the site to accommodate them, and are looking for your help to fill it up. If you have any good recipes, go to the Reefer Recipes page and post them there. If there are any recipes you would like us to look in to, also post them there. For now we have one that is fairly simple and highly effective at getting you stoned. As we stated in yesterday’s post, the THC in marijuana can bond with fat and alcohol molecules. Green dragon uses alcohol to make the THC effective if eaten, but you can also use cheese which contains fat. If you are lactose intolerant, substitute peanut butter for cheese in the following recipe. If you are lactose intolerant and are allergic to peanuts, you are probably also allergic to marijuana and shouldn’t be smoking, eating or drinking it. Or, doing anything else with it for that matter. Maybe you could sell it, but where gloves and a mask for your own safety. So, a little background on this recipe. They go by firecrackers or Leary Biscuits. I have no idea where the name firecrackers came from, but they are awesome and so are firecrackers, and that’s all we’ve got on that. The term Leary Biscuits, comes from Timothy Leary, the godfather of LSD and the Pied Piper of the psychedelic movement of the 1960′s and 70′s. Half a second later, this was devoured. To construct a Leary Biscuit, you will need the following things. Now, that was easy. This is the part where it get’s tricky, for someone with now hands, everyone else should find this pretty easy. 1. Cover a cracker with cheese, or PB. 2. Grind up marijuana. Sprinkle a thin layer on top of the cheese, or PB. 4. Place in an oven set to 300 degrees Fahrenheit, or microwave on high until the cheese is melted. 5. Wait until the cheese cools. This step is important because you are probably high, you probably have the munchies, and by now you really want to eat something. But, just wait. Since these are easy to make, you could serve these at a party. They are great if you have friends coming over to watch the game. Memorial Day is coming up, maybe you need a nice appetizer for your barbecue. The possibilities are endless. Disclaimer: If you consume one of these, you will get high. So, take two for good measure. At the least. Also, start looking at our new Reefer Recipes page for more MJMB approved munchies. 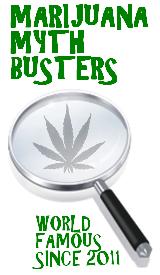 And, if you are looking for pipes, bongs, or smoking accessories check out Our Sponsors page. Now, go and get high. In the words of Timothy Leary, “Turn on, tune in, drop out”. What is the best way to smoke marijuana? Okay crew. We’ve got a new question for everyone, and with 4/20 coming up this one is pretty relevant. One of you asked, what is the best tasting way to smoke weed? So what we want to know is… in your opinion, what is the best way to smoke marijuana? And, if your favorite way to get high isn’t listed, leave us a comment telling us all about it. Cast your votes now and let us know your favorite way to smoke. Just so everyone knows, you can now follow us on Facebook and Twitter. Check out our new “Share” option at the bottom of each post. Feel free to go back and share your favorite pot polls and MJMB posts. P.S. Don’t forget 4/20 is less than 2 days away!! !